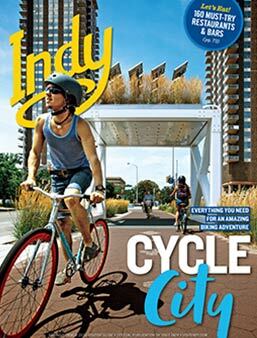 My day-to-day role at Visit Indy is working with the media to help tell the story of our city: where we came from, how we got to where we are, and what lies ahead. To say I’m excited for the ‘what lies ahead’ piece to our story would be an understatement. 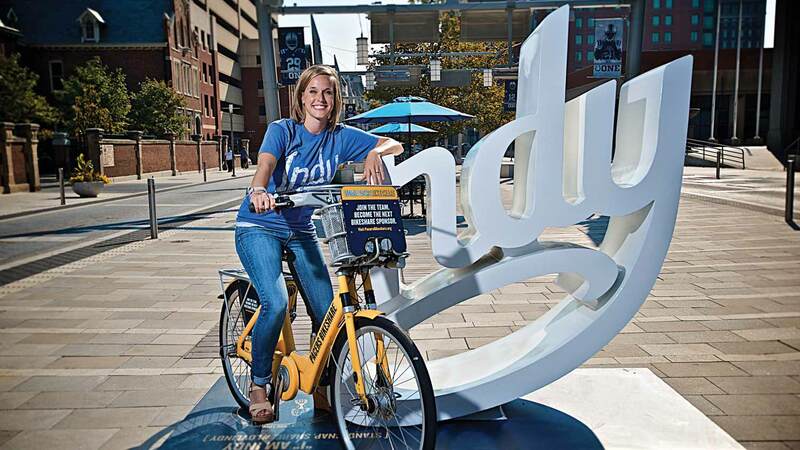 Indy is in pole position as a must-visit destination, and according to what’s on the docket for city developments, we’re only getting started. 2017 brought us a year of major sporting event announcements that we’ll get to celebrate across the next five years, a green flag for mass transit (2019), and a jump start on plans to activate 40+ miles of the White River, as well as ideas for the 103-acre parcel of land downtown (no other similar-sized city in the country has that much land to work with in their downtown). Hotel developments are underway with Indy being one of the first cities to get a West Elm Hotel (2019) and now a new Kimpton Hotel (2020), allowing us to put more heads in beds in this city. 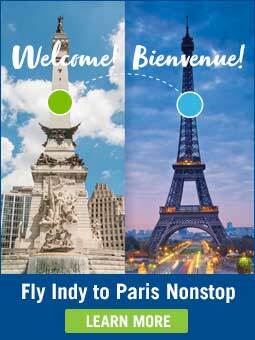 The IND Airport dominated the market in 2017 garnering more nonstop flights to Indy and kept hold as the #1 Airport in North America. So, when Condé Nast Traveler said we’re one of ‘6 US Cities to Watch in 2017’, they were right. And keep watching, my fellow travelers, because 2018 will be nonstop fun. 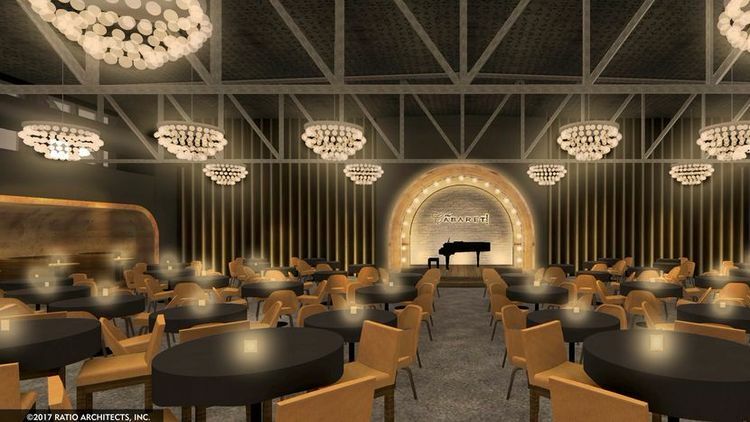 Arts in Indy are always omnipresent, however 2018 is going to bring a more robust arts scene with the opening of the $7.5-million Phoenix Theatre, and just two blocks away, the newly renovated space for the Cabaret. 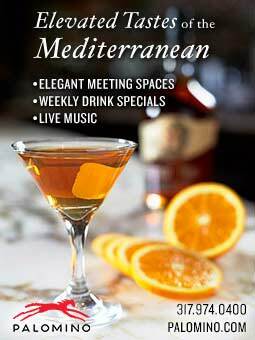 Indy has skyrocketed as the Cabaret Capital of the Midwest, and now with this new Old Hollywood glam-style bar and theatre, you’ll find more Cabaret year-round. Just when you think the world’s largest children’s museum couldn’t get any larger, it does. On March 17, 2018, doors will open to the $38-million indoor and outdoor immersive sports experience called Sports Legends Experience. Fourteen zones will range from a recreated Indianapolis Motor Speedway where families can race pedal cars on the track to perfecting a hole-in-one on a Pete Dye-designed golf course for families. 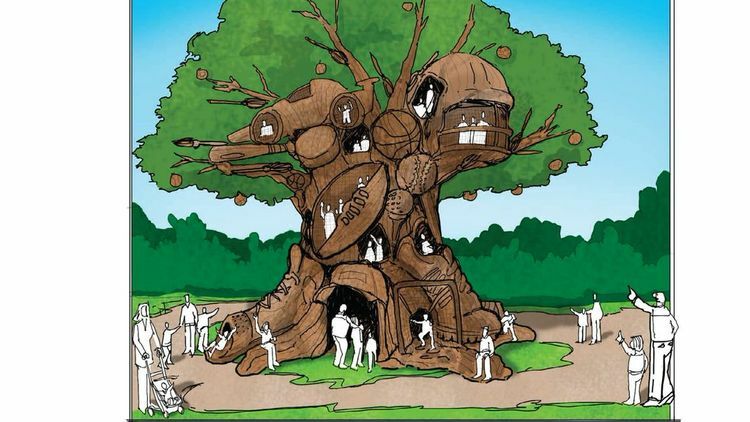 Kids will also love the NBA Pacers and WNBA Fever on-court experience or the massive “Tree of Sports” that will be the epicenter of the attraction. Nowhere else in the world can you find an experience quite like this one. Food & Wine Magazine named Indy one of the ‘Top 20 Food Cities in the U.S.’ in 2017, and we’re going to continue to climb the charts in 2018 with our strongest culinary scene to date, as several highly anticipated restaurants are slated to open. Neal Brown’s Ukiyo will make Indy’s first-ever omakase-style restaurant, while Jonathan Brooks will open his second endeavor called Beholder, after wowing diners around the world with Milktooth. We’re also excited to welcome a new face to Indy with the opening of two restaurants brought to us by Kimbal Musk, brother to Elon Musk of SpaceX and Tesla. 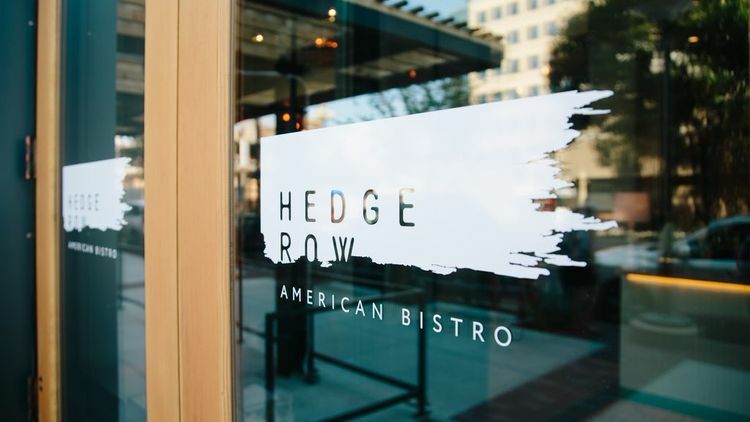 Musk is opening Hedge Row Bistro on Mass Ave and Next Door Café in the SoBro neighborhood, and through the good work of The Kitchen Community, he’s also helping build 100 community gardens tied to schools in Central Indiana by 2020. And let’s not forget about the serious tiki action that will descend on Indy with the opening of The Inferno Room, led by our favorite red-headed restauranteur, Ed Rudisell. Next April 4 will mark the 50th Anniversary of MLK’s assassination, which took place at the Lorraine Hotel in Memphis. Simultaneously, Robert Kennedy was campaigning in Indy and heard the news. His team encouraged him not to go on with his speech that night as riots were breaking out across the country, as word spread. He insisted. His speech writer handed him his speech, which he ripped up. Kennedy went on to deliver one of the most famous speeches in history and allowed Indy to be the only city which remained peaceful. 63 days later, Kennedy was also assassinated. 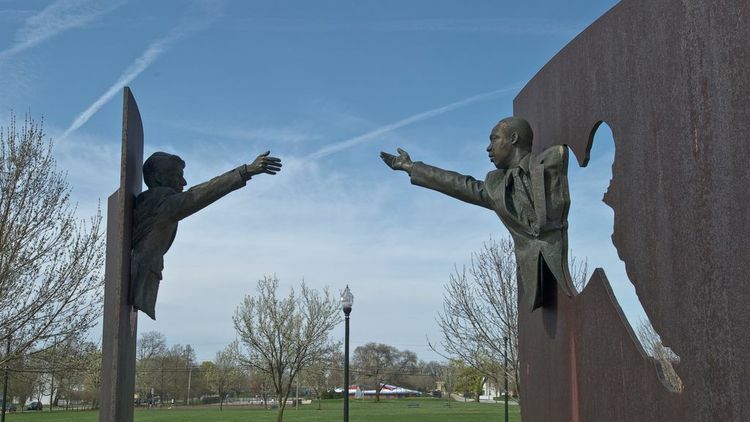 A powerful memorial stands in Indy commemorating this historic event, however, timed with next year’s anniversary, Indy will be honoring MLK and Robert Kennedy with a city-wide event to commemorate MLK’s legacy. 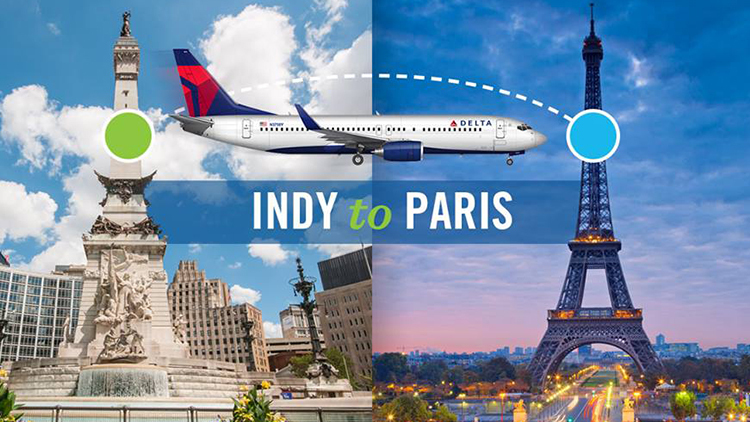 The #1 Airport in North America (according to Airports Council International and Condé Nast Traveler) will welcome the first-ever transatlantic flight to Paris on Delta Airlines starting in May. Now we’ll no longer have to question how our pork tenderloin sandwich stacks up to their croque monsieur. 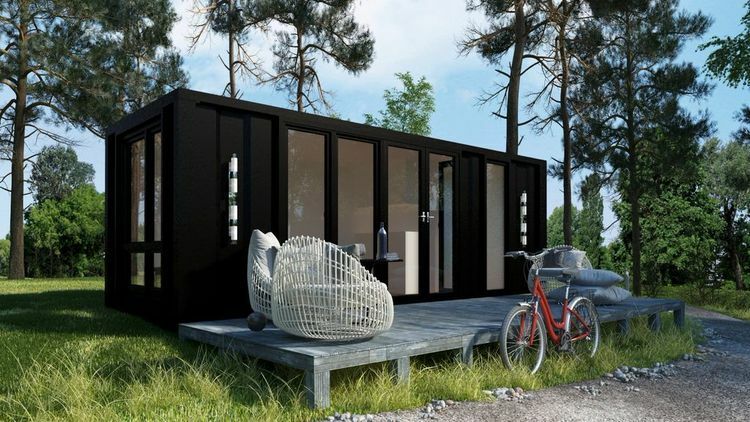 Next year, visitors will be able to sleep inside luxury shipping containers on the outskirts of Eagle Creek Park, one of the country’s largest urban parks. These gems are called Tiny Urban Escapes, and once reservations go live next year, you better be ready to book fast. Sports continues to play a key role in the vibrancy of Indy’s social calendar. Our year starts with Big Ten Women’s Basketball action on the court and ends with football action on the field with the Big Ten Championship game in December. In between we’ll celebrate a return of the LPGA competition at the Brickyard and adrenaline-junkies in the sky with Red Bull’s Air Race in October. Like every May, the Racing Capital of the World is mesmerized by the iconic Indianapolis 500. This year will mark the 102nd running and an incredible EDM Snakepit lineup and party unlike any other. While not new to the sports calendar, the Brickyard 400 will return for its 25th race, but for the first time with a September race date.